For the first time, the WLA will be honoring our K-8th Grade Boy’s Youth Programs at halftime of the Boys Varsity game against John Jay on Saturday 4/30. Opening faceoff is scheduled for 6:30pm. This will be a great opportunity to celebrate our Boys Youth program and add some fun for the players to be announced on the PA and cheered on by the fans. We’d love a HUGE crowd for the game, will have the concession stand open (as well as have merchandise on sale) and most importantly it will also be a great opportunity for the players to watch some excellent lacrosse and to help cheer on the varsity program in an important home game! Our Youth Players are the future of Wilton High School Lacrosse, and we want them to feel like they are a part of our strong Wilton Tradition!!! All Players should wear their White jersey’s to the game. Please remind the players to be as orderly as possible. Parents should enthusiastically cheer, take pictures and go crazy for the Boys as they take their lap! 3rd -8th grade players can head back to their seats on their own and rejoin their families. All players and parents need to be conscious of the varsity game that is taking place, we do not want to be a distraction for either varsity team! Youth Night will occur during halftime, but please note that after a brief locker room visit, that both teams will be re-entering the field and warming up (particularly goalies). 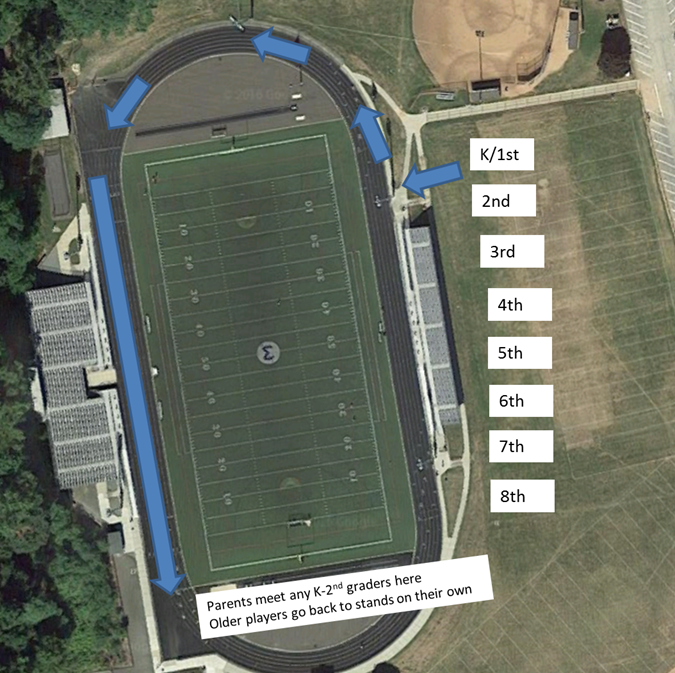 We want to ensure all of our Youth Player’s safety and make sure we exit the gated field area as quickly as possible, particularly with the K/2nd Graders since they will require parent pick-up! This event is not required, but we’d love to have as many players attend as possible to make it a special evening! Reminder emails will be sent out during the week of the game, we hope to see all of you on Saturday 4/30!! !